As I'm sitting here this morning, coffee in hand, I have been reflecting on many things. Through my failed marriage, I learned many things, all of which I am grateful I can be open and honest with my ex-husband about. But there was something he said recently that touched me, and triggered these thoughts. He said he was happy I had found someone who loved me the way Logan does, that I deserved that kind of happiness. And over the past few days I have been thinking on this, thinking of the ways Logan loves me and what it means to be in a relationship. 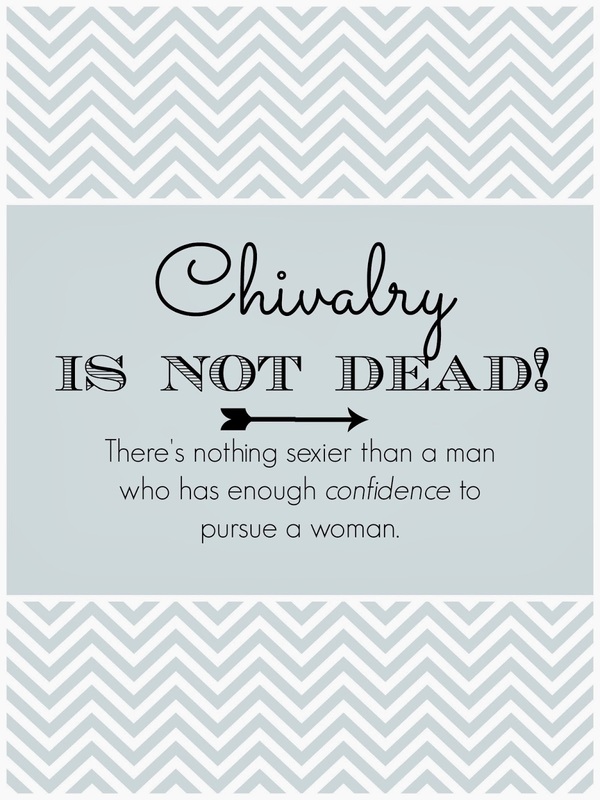 First, let me start by stating with absolute fact that CHIVALRY IS NOT DEAD. I do not care what people say. It is not. I personally feel to say it is dead, is to give young men an excuse to put no effort into a relationship. It trains them up to think women are not worth wooing. Yes, such a statement teaches men to devalue women. We also live in a society of female empowerment. Don't get me wrong, I strongly encourage every woman to build their confidence, know they can stand on their own two feet, and can dare to dream BIG. But what about the days when men pursued women? What's wrong with being a fragile, delicate being? When did we lose that? When did a desire to be desired become "high maintenance?" Let me tell you, ladies, I have been on both ends of the spectrum. I have done the pursuing and I have been the pursued, but being pursued has been the most fulfilling! And, yes, this is where Logan comes into the picture. At the time I had met him, I was unsure I wanted a relationship. I still felt jilted by the dissolution of my marriage. But I figured if he thought I really was worth it, he would put in all the effort he could, and be patient until I felt I was ready. Boy did he ever! At the time he wasn't making very much money, but he scraped together every dollar he could, drove 10 hours to where I was at, picked me up, then drove me seven hours to Pensacola, where we spent an amazing weekend on the beach together. He took me thrifting all over town, browsed boutiques with me on the boardwalk, and had a beer with me at a sports bar. He opened doors for me, never once suggested we go dutch on any meal (or that I get the next one), and spoiled me with nonsensical trinkets from the gas station merely for a laugh. I allowed him the opportunity to express his desire for me, and IT WORKED! He continues to everyday. Which brings me to my final point, what can you hope to get out of a relationship? I recently read an article titled "Marriage is Not For Me." Take a moment to read it. Relationships are not about what you get out of them. That is a selfish way of thinking. Relationships are about what you can give. What you can put into it to make your partner feel loved. Christ had a servants mentality while in the flesh, he was humble. I feel that is how we should enter our relationships, willing to give rather than receive.